Playing memory games, learning new words, listening to classical music and creating works of art regularly with your children can help promote their brain development, enhance their motor skills, hand-eye coordination, reading, memory, and logic. Baby Cortex is dedicated to creating edutainment products that enrich children through engaging experiences that stimulate and satisfy their need to learn and explore. Since the launch of the first Baby Cortex application in early 2010, the company has achieved a staggering 2.5 million downloads from its apps on the iTunes App Store. 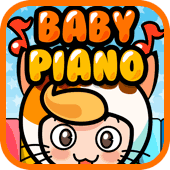 The Baby Flash Cards series alone has over 700,000 downloads, while the popular app Alphabet Car has occupied several Top Ten positions in the US, Hong Kong, and Singapore App Stores for Top Paid iPad Education Apps, Top Free iPad Education Apps, and Top Grossing iPad Education Apps. Baby Cortex offers both paid and free applications. To find the latest Baby Cortex products, search for “Baby Cortex” in the iTunes App Store or Google Play.